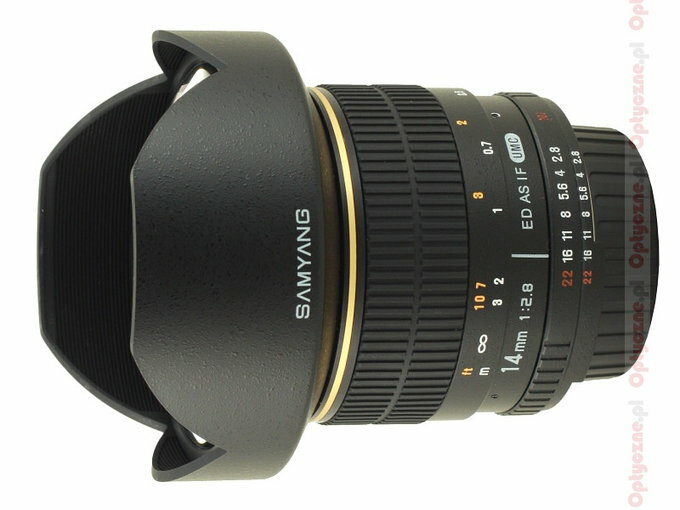 After successful launches of an 85 mm f/1.4 model and an 8 mm f/3.5 fisheye, in September 2009 the Samyang company launched worldwide the next lens. It was a Samyang 14 mm f/2.8 IF ED MC Aspherical – an ultra wide angle prime lens designed to work on full frame cameras. About a month after that event we conducted a thorough test of the new lens. 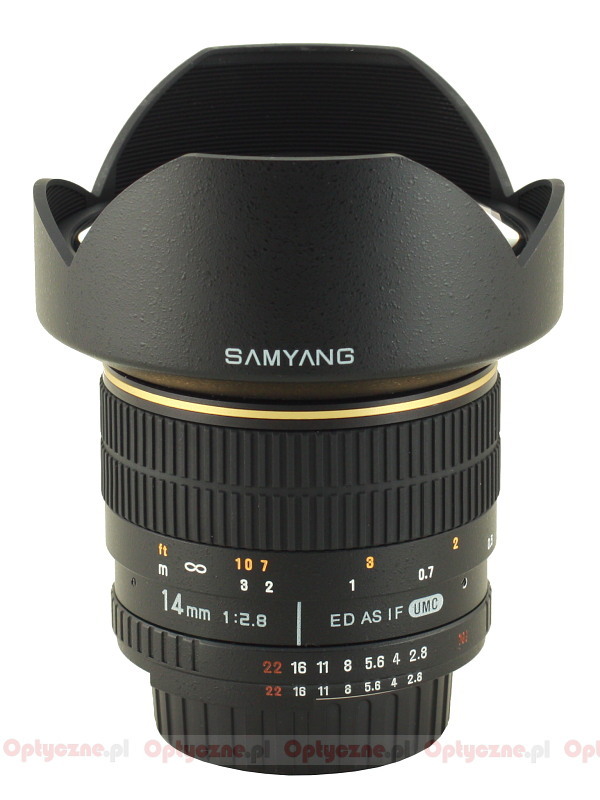 It turned out the new Samyang 2.8/14 had plenty of advantages and a good price/quality ratio. Unfortunately, there were some slip-ups too. The most serious one concerned its work against bright light. A huge, convex front element caught side light easily and it resulted in horrendous flares in the pictures. Apart from that, the lens had a lot of problems with vignetting, it showed an uncomfortable moustache distortion and the image quality at the edge of full frame could be described only as weak. We strongly recommend getting acquainted with the previous model’s test before you start reading this one – it will make the reading definitely easier and you will be able to compare the results with more clarity. After our test the producer decided to withdraw first specimens of that lens from the market and started to redesign it. It was announced that they intended to improve the work against bright light and to increase the quality of images at the frame edge (the resolution was supposed to increase by 15% there). The first specimens of this lens’s new version hit the shelves of our shops lately. The lens looks similar to the previous version but its name is slightly changed, including the UMC symbol - it means new coatings have been used. The price changed too. 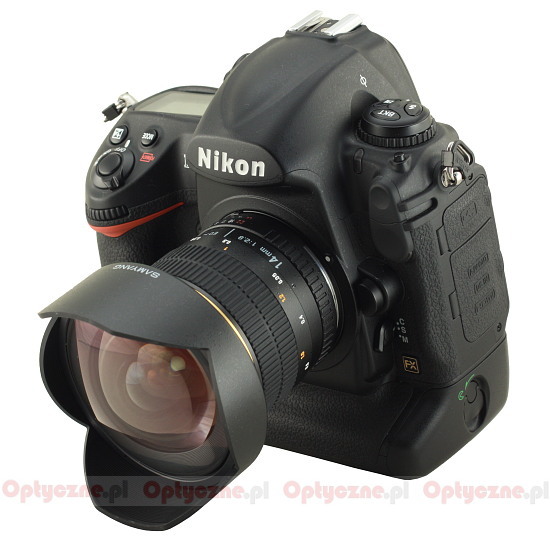 The new model is by around 40 EUR more expensive. As we got hold of the new lens pretty quickly courtesy to the FotoTip company, we can check right now what exactly has been improved. Enjoy your reading!